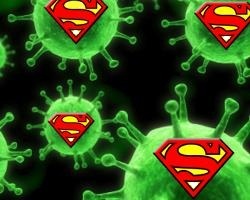 Bacteria can transmit genes that allow them to endure exposure to the antibiotics we currently have. It means that infections produced by these bacteria are tougher to treat, even though they are not necessarily more severe or infectious. What makes it concerning is that the gene that carries antibiotic resistance can be transferred between bacteria, permitting for the creation of bacteria that carry resistance genes to many diverse antibiotics, a superbug. Drug resistance is compelled by the misuse and overuse of antibiotics, which encourages the bacteria to develop new means of overpowering them. This has been a feature of medicine since Alexander Fleming’s discovery of the first antibiotic, penicillin in the year 1928. MRSA, a strain of Staphylococcus bacteria that is resistance to a number of antibiotics and this has been a major problem in health care sector for years. MRSA bacteria are resistant to most of the antibiotics used to treat them, which in turn make common infections difficult to treat. MRSA can be elaborated as Methicillin Resistant Staphylococcus aureus. It is a strain of bacteria that is not destroyed by antibiotics including methicillin, which is generally used to treat Staphylococcus aureus infections. Staphylococcus aureus (commonly denoted to as “staph”) is a strain of bacteria which is normally found on the skin of healthy people. If it gets into the skin, then causes skin infections which result in small red bumps that look like boils or pimples. Staph can also cause added serious infections like pneumonia and blood infections. Since more bacteria become resistant to antibiotics, the risks of complications and death have increased. Doctors will have to prescribe to less commonly used antibiotics many of these are more expensive and are linked with severe side effects, also are not necessarily being able to treat the infection. Make sure you understand when antibiotics should be used. Antibiotics are effective against bacterial infections only, thus they should never be used for viral infections like cold or flu. Precisely follow your doctor’s instructions when you are prescribed an antibiotic. Discontinuing the treatment early can allow resistant bacteria to survive and spread. Without a prescription never take antibiotics. Taking leftover antibiotics without a prescription can be detrimental because they might not be the suitable choice for your condition or may not be enough to combat the infection. Maintain good hygiene to prevent infection. Washing hands prior to eating and after going to the lavatory or visiting a hospital can go a long way towards preventing infections.